RITA Award winner Karen Young has become an internationally best-selling author with her inspiring works. 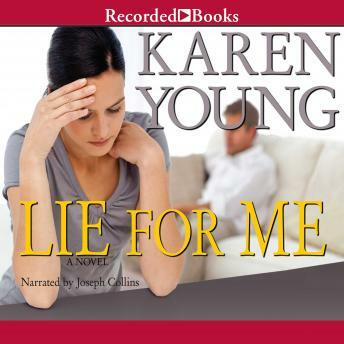 With Lie for Me, Young spins a tale of deceit and danger. Lauren Holloway's ex-fiancé Tucker is in serious trouble: his ex-wife has been murdered and he's in desperate need of an alibi. But when Lauren refuses to lie for him, Tucker is forced into hiding. Years later, Lauren finally decides to help prove Tucker's innocence—a decision that puts her life in mortal danger.